From Spain: Real Madrid to offer â¬40m and Modric for Inter star 19 October at 11:50 Luka Modric was the dream of the Nerazzurri market last summer and sporting director Piero Ausilio tried everything possible and impossible to land the Croatian star at the club. However, this saga might not be over just yet and reports in Spain suggest the exact opposite. 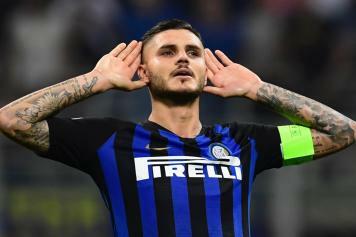 According to Diario Gol, Real Madrid are expressing great interest in Inter captain Mauro Icardi and the European champions would like to include Luka Modric in a potential deal. The Spanish source adds that the Los Blancos plan to offer â¬40 million plus the services of Modric in order t o lure Icardi to the Santiago Bernabeu. The offer will not be presented in January, but next summer.